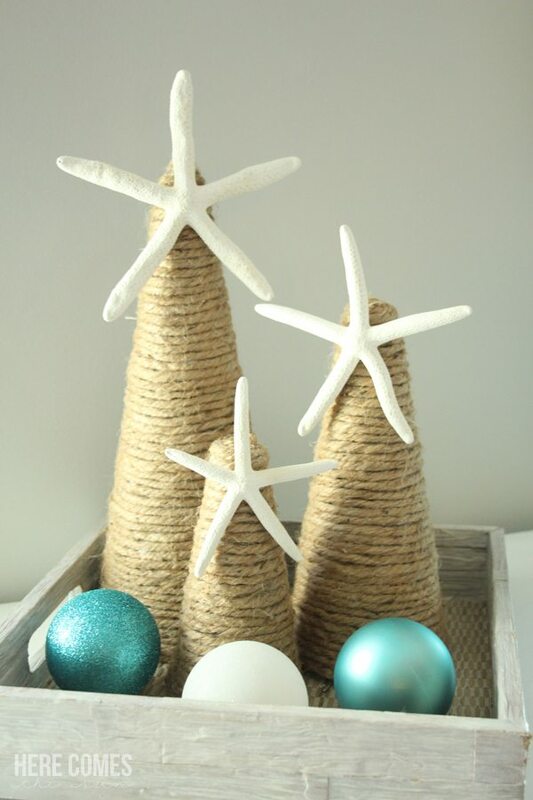 This jute wrapped Christmas tree is the perfect decor for a coastal Christmas. 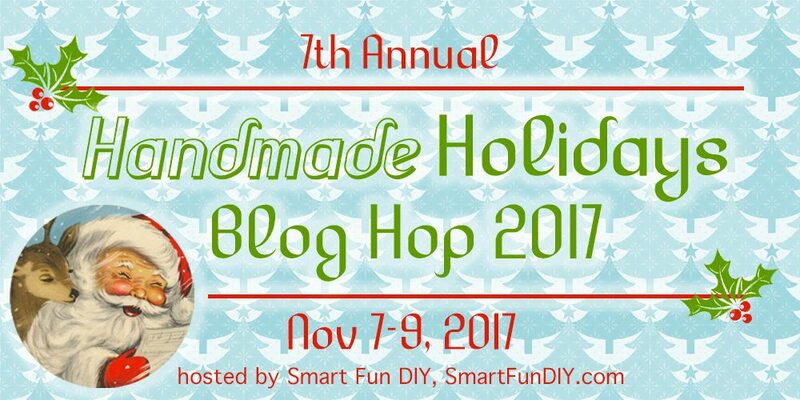 I’m so excited to be participating in the 7th Annual Handmade Holidays Hop. Today I’m joining other bloggers to bring you festive holiday decor. When you’re done reading my tutorial, scroll down to the bottom of the post to see what the other bloggers are sharing and enter the giveaway. We bought a house in July and this will be our first Christmas season in it! I was so excited to finally get out of a rental home and into one that I could paint and decorate however I wanted. Our home is decorated in a coastal style and a few years ago, I attempted a coastal Christmas theme for the first time. 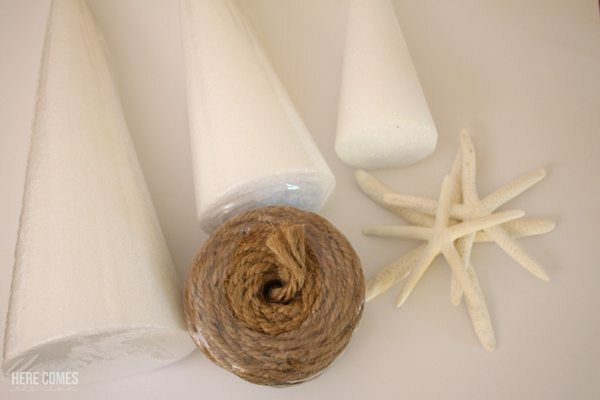 Today I’m adding more coastal decor to my collection with jute wrapped Christmas tree decor. A jute wrapped Christmas tree is very easy to make and the supplies are readily available at any craft store. 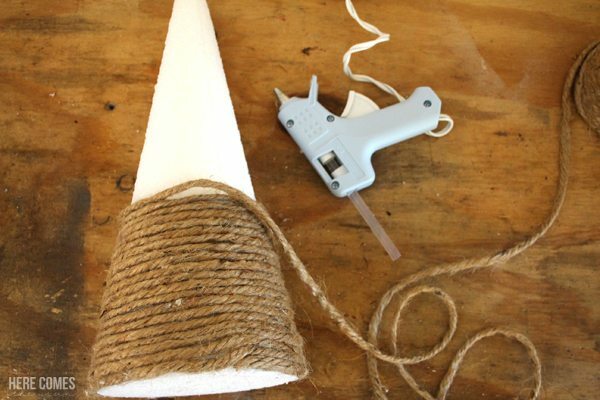 Start by gluing one end of the jute to the bottom of a foam cone. 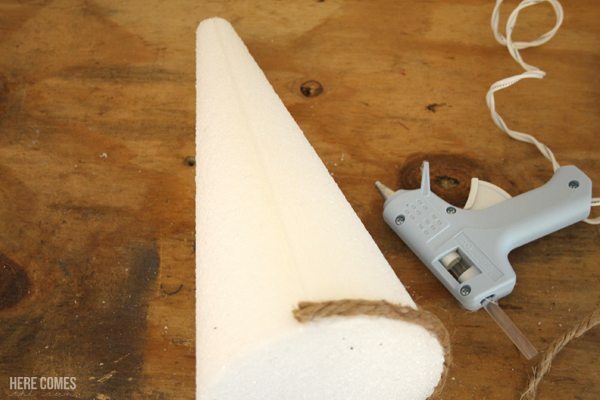 Place a bead of glue around the base of the cone and attach the jute. 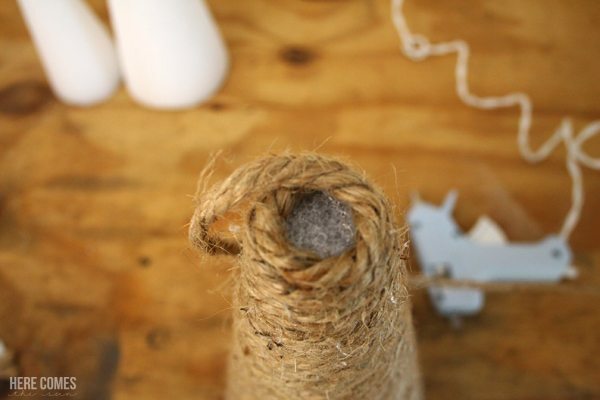 Continue to glue and wrap the jute around the cone, making sure to press the rows close together to minimize gaps. When you get to the top of the cone, just wrap and glue the jute around itself until everything is covered. 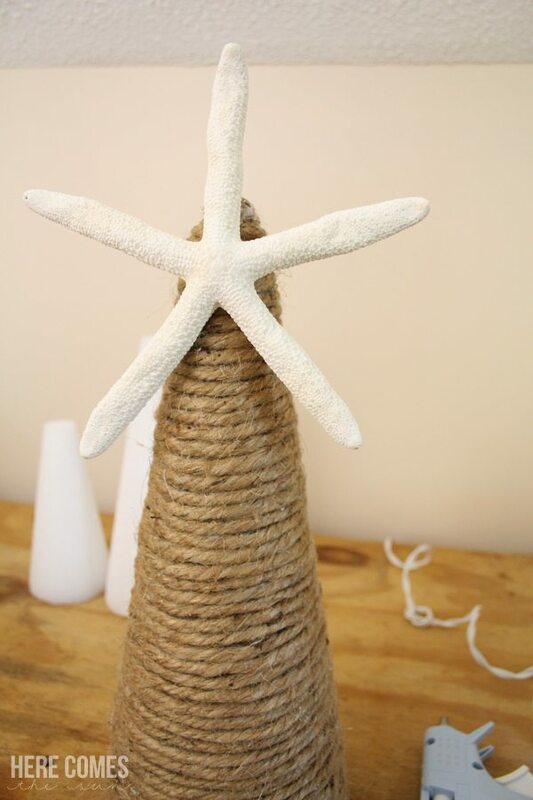 When the entire cone is covered with jute, attach a starfish to the top with hot glue. 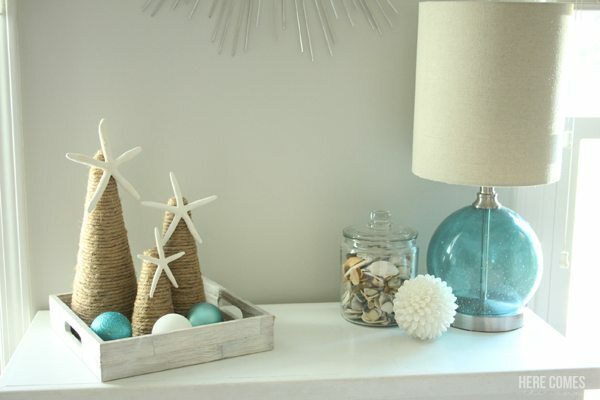 If your holiday decor is not a coastal theme, you can easily modify this project by leaving off the starfish topper. You can then use it as rustic holiday decor. A small wooden star on the top would look great for rustic decor. 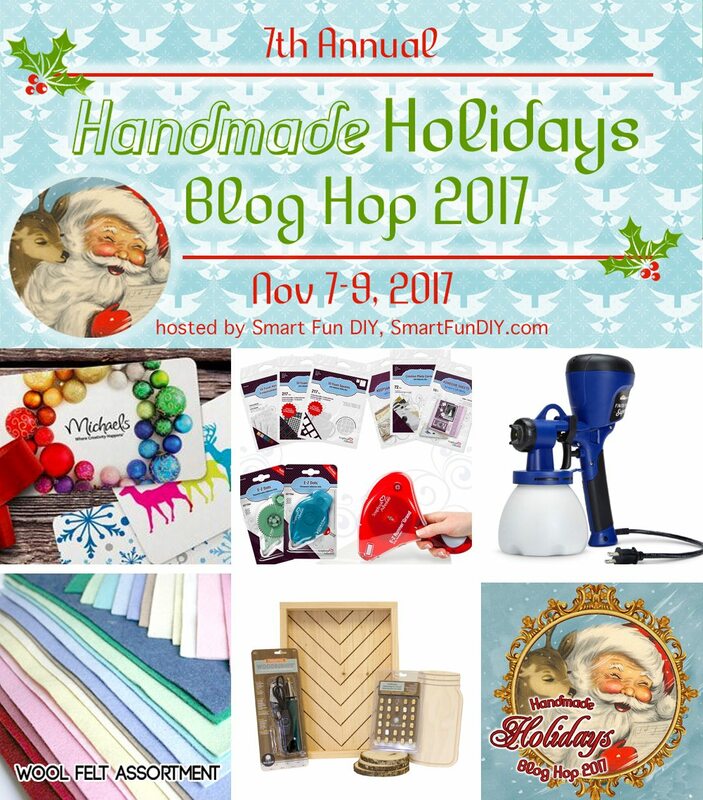 Make sure to check out all these great projects from other bloggers and scroll down for the giveaway! 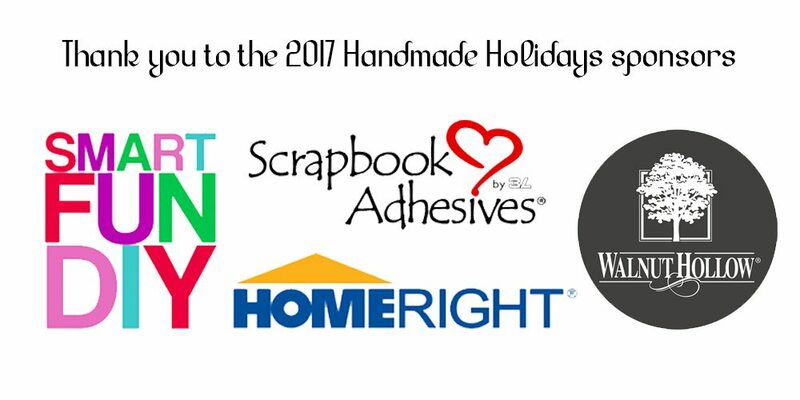 This Handmade Holidays blog hop and giveaway is sponsored by Smart Fun DIY, HomeRight, Walnut Hollow and Scrapbook Adhesives. Love anything coastal so these are right up my alley! Visiting from Handmade Holidays. Very pretty! I love jute wrapped anything! Love the addition of the starfish to these trees. Congratulations on purchasing your home! How exciting and you’ll have such fun making every detail just how you like it. I love your Coastal Christmas trees, the Starfish on top is so perfect. I am such a sucker for anything jute/twine-related and these trees are no exception! I love the idea! Jute is a great material that helps to provide some rustic style to any piece of decoration.